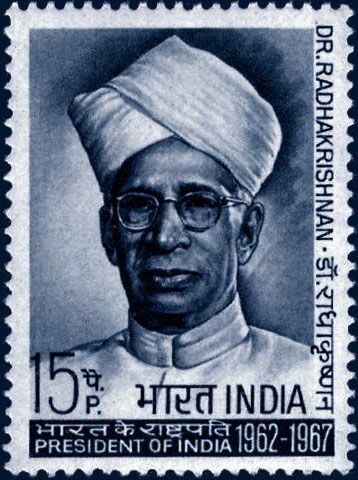 Dr. Sarvepalli Radhakrishnan (1888-1975), former President of India, was one of the most erudite of Hindu scholars of all times. He was at once a philosopher, author, statesman, and educationalist - and India celebrates his birthday - the 5th of September - as "Teacher's Day" every year. Dr. Radhakrishnan was a professor of Eastern Religions at Oxford University, and the first Indian to be a Fellow of the British Academy. He was also named the 'Knight of the Golden Army of Angels,' the Vatican's highest honor for a Head of State. Above all, he is among the brightest luminaries of Hindu philosophy and a champion of 'Sanatana Dharma.' Here is a selection of the best quotes on Hinduism gleaned from the vast body of literature written by Dr. Radhakrishnan. "Hinduism is not just a faith. It is the union of reason and intuition that cannot be defined but is only to be experienced. Evil and error are not ultimate. There is no Hell, for that means there is a place where God is not, and there are sins which exceed his love." "Hinduism has come to be a tapestry of the most variegated tissues and almost endless diversity of hues." "Hinduism is … not a definite dogmatic creed, but a vast, complex, but subtly unified mass of spiritual thought and realization. Its tradition of the God-ward endeavor of the human spirit has been continuously enlarging through the ages." 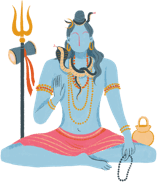 "Hinduism is wholly free from the strange obsession of some faiths that the acceptance of a particular religious metaphysics is necessary for salvation, and non-acceptance thereof is a heinous sin meriting eternal punishment in hell." "Hinduism is not bound up with a creed or a book, a prophet or a founder, but is a persistent search for truth on the basis of a continuously renewed experience. Hinduism is human thought about God in continuous evolution." "Hinduism is an inheritance of thought and aspiration, living and moving with the movement of life itself." "In the history of the world, Hinduism is the only religion that exhibits a complete independence and freedom of the human mind, its full confidence in its own powers. Hinduism is freedom, especially the freedom of thinking about God." "A large part of the world received its religious education from India … In spite of continuous struggle with theological baggage, India has held fast for centuries to the ideals of spirit." "From the time of the Rig Veda till today, India has been the home of different religions and the Indian genius adopted a policy of live and let live towards them. Indian religion never quite understood the idea of exclusive worship. Indian religious tradition admits all forms in which the single truth is reflected. Proselytism is discouraged. It is not God that is worshiped but the group or the authority that claims to speak in his name." "The truth suggested in the Vedas are developed in the Upanishads. We find in the seers of the Upanishads, an utter fidelity to every layer and shade of truth as they saw it. They affirm that there is a central reality, the one without a second, who is all that is and beyond all that is." "If the Upanishads help us to rise above the glamor of the fleshy life, it is because their authors, pure of soul, ever striving towards the divine, reveal to us their pictures of the splendors of the unseen. The Upanishads are respected not because they are a part of Sruti or revealed literature and so hold a reserved position but because they have inspired generations of Indians with vision and strength by their inexhaustible significance and spiritual power. Indian thought has constantly turned to these scriptures for fresh illumination and spiritual recovery or recommencement, and not in vain. The fire still burns brightly on their altars. Their light is for the seeing eye and their message is for the seeker after truth." "The Gita appeals to us not only by its force of thought and majesty of vision but also by its fervor of devotion and sweetness of spiritual emotion." "Hinduism recognizes that each religion is inextricably bound up with its culture and can grow organically. While it is aware that all religions have not attained to the same level of truth and goodness, it insists that they all have a right to express themselves. Religions reform themselves by interpretations and adjustments to one another. The Hindu attitude is one of positive fellowship, not negative tolerance." "Tolerance is the homage which the finite mind pays to the inexhaustibility of the Infinite." "Hinduism according to him is not a religion, but a commonwealth of religions. "It is more a way of life than a form of thought….The theist and the atheist, the skeptic and the agnostic may all be Hindus if they accept the Hindu system of culture and life. Hinduism insists not on religious conformity but on a spiritual and ethical outlook of life…Hinduism is not a sect but a fellowship of all who accept the law of right and earnestly seek for the truth." "Hinduism represents an effort at comprehension and cooperation. It recognizes the diversity in man's approach towards, and realization of, the one Supreme Reality. For it, the essence of religion consists in man's hold on what is eternal and immanent in all being." "For the Hindu, every religion is true, if only its adherents sincerely and honestly follow it. They will then get beyond the creed to the experience, beyond the formula to the vision of the truth." "Hinduism represents the spirit, the spirit that has such extraordinary vitality as to survive political and social changes. From the beginning of recorded history, Hinduism has borne witness to the sacred flame of spirit, which must remain forever, even while our dynasties crash and empires tumble into ruins. It alone can give our civilization a soul, and men and women a principle to live by." "The Hindu realizes not only that all roads lead to the one Supreme, but that each one must choose that road which starts from the point at which he finds himself at the moment of setting out." "My religious sense did not allow me to speak a rash or a profane word of anything which the soul of man holds or has held sacred. The attitude of respect for all creeds, this elementary good manner in matters of the spirit, is bred into the marrow of one's bones by the Hindu tradition."